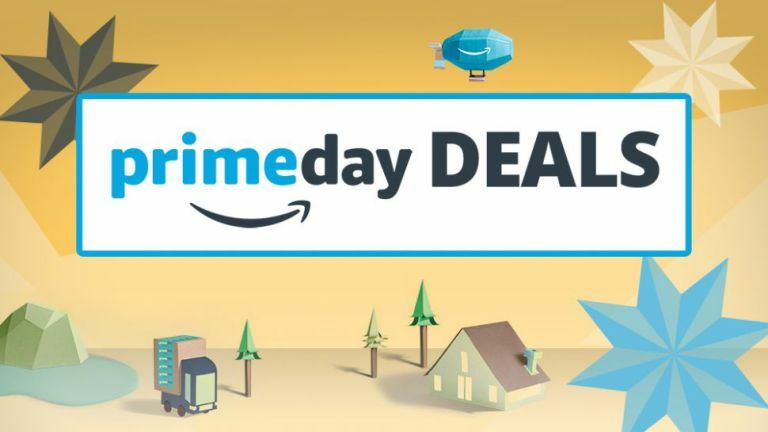 Amazon Prime Deals day is here! That's 30 full hours of amazing tech deals and it's LIVE now. T3 is no stranger to offering you the best tech deals here on T3.com and, as such, here we're bringing you the very best Prime deals throughout the event, as new deals start as often as every five minutes. Here T3 brings you the all the top home and kitchen deals currently available on Amazon Prime Day 2017. Be sure to check out the epicentre of Amazon's Prime Day deals too, which collates all the best deals in one place. For more information on each category of deals, be sure to check out each tech category's individual deals hub too. Equally, if you are like "what's a Prime Day?!" then make sure you check out T3's overview of the event for a primer. Just remember, you need to be an Amazon Prime member to land these tasty tech deals, so head on over and sign up for a free trial if something takes your fancy. Oh, and if you're in the US, then make sure you head on over to Amazon.com as there are some really sweet exclusive deals just for you. Nest Learning Thermostat - 3rd Gen: down to £198.50 (save £22) Get the Google-powered Nest smart thermostat system to look after your heating and hot water system! Use Alexa or Google Home to turn things on and off - you can even control it from work. Sony ILCE6300B CSC (body only): down to £674 (save £130) Not the cheapest camera out there by any means but this is a fabulous deal on a fabulous compact system camera. Get it here body-only or see below for an option with a zoom lens. Expires midnight tonight. For a great deal on a full frame CSC with 28-70mm zoom lens, look no further than this Sony stunner. It's normally £999 but today only it's reduced to £799 - ideal for making that step up to serious photography. Expires midnight tonight. Sony DSCRX10M3 4K Digital Bridge Mk3 with Zeiss lens: down to £1019 (save £290) This superb Sony 4K bridge camera is discounted by a whopping £270. Strong deal for anyone who wants an amazon camera with a strong discount. Expires midnight tonight. The Oral-B Smart Series 4000 Electric Rechargeable Toothbrush is down to only £58.99, that's a discount of 51% and a monetary saving of £61. Get Oral-B Smart Series 4000 deal. Dell Inspiron 15: down to £279 (save £100) Another brilliant deal on a Dell laptop here. This model has an Intel Core i3 CPU, 4GB RAM, 1TB HDD, integrated graphics and an HD screen. It's not a super powerful laptop but it's well worth this bargain price! This excellent convertible Chromebook comes with an Intel Core M3 processor, 4GB RAM, a 1080p display and 10 hour battery life. All this, plus you get £160 off for Amazon Prime Day. HP has knocked £90 off this 15.6-inch laptop, which features plenty of power thanks to an Intel Core i5 processor and 8GB of RAM. Also included is a 1TB hard drive to store all your stuff, and Windows 10. Save a huge £260 off of this slimline laptop that can rotate its display to turn into a 13.3-inch Windows 10 tablet. With the latest seventh generation Intel Core i5 processor, 8GB of RAM and a 512GB SSD, this is a slick and speedy device. Want more power than the deal above? Prepare to pay more - but with a price cut of £350 this is an amazing deal. You get the more powerful UX560 Zenbook with an i7 CPU, 12GB RAM, and an Nvidia GeForce 940MX graphics card to play games with. How does a Microsoft Surface Pro 4 12.3-inch Tablet for just £529.99 sound? Pretty good right! Well, that’s the price you can currently pick it up for during Amazon Prime Day. That’s a 40% discount on its pre-deal price of £878.75. T3’s review of the system was incredibly praiseworthy. Get Microsoft Surface Pro 4 12.3-inch Tablet deal. The Graco Stadium Duo Double Pushchair is available for only £106.39 right now thanks to a tasty 56% discount. This pushchair is down from £244.33, so that’s a saving of £137.94. Get Graco Stadium Duo Double Pushchair deal. Sticking with Graco, its Evo Stroller in Slate is discounted by 42% down to £174.96 from a regular price of £299.99. That’s a saving of £125! Get Graco Evo Stroller deal. Philips Airfryer: down to £85.99 (save £52.15) If you want to start eating healthier but aren't quite ready to quit the chips, this is the deal for you. The Philips Airfryer uses up to 80 per cent less fat than a conventional fryer, and has an auto-off function for safety. De'Longhi Nespresso Machine: down to £125.99 (save £60) Smarten up your kitchen with this stylish coffee maker, which pours perfect cappuccinos and lattes straight into a glass. The standard color is red, but it also comes in black and white for the same amazing Prime Day price. Nescafé Dolce Gusto Machine: down to £25.99 (save £24) This is an amazing price for a coffee machine from a well-known brand. This Dolce Gusto model takes coffee pods, and has a removable water tank for easy filling. It's energy-efficient and easy to clean. A real bargain! De'Longhi Bean-to-Cup: down to £399.99 (save £199.01) If you're a coffee connoisseur, a bean-to-cup machine is an essential investment. This machine has a memory function so it can make drinks just the way you like them, and cleans itself automatically. Breville Hot Water Dispenser: down to £39.99 (save £20) Where we're going, we don't need kettles. This hot water dispenser eliminates messy and potentially dangerous pouring, delivering just the right amount of hot water into your cup at the push of a button, any time. Once you've lived with one of these, you'll wonder how you ever did without it. Morphy Richards Breadmaker: down to £38.99 (save £18) With this breadmaker, you can have a fresh loaf ready every morning with practically no effort. The Morphy Richards Fastbake has adjustable crust settings, and can also make delicious cakes and jam. Jura Impressa Coffee Machine: down to £619.99 (save £329.96) This is a truly premium coffee machine that would put high street cafes to shame. It can use either fresh or ground beans, offers 13 preset drink settings, and has fine milk foam tech for the perfect velvety finish. Philips Quick Clean Juicer: down to £120.99 (save £59.98) Getting fresh fruit juice has never been easier. This machine's extra-large feeding tube means less preparation is necessary before juicing, and it can be cleaned by simply running a juicing cycle with water. Tower Pressure Cooker: down to £34.99 (save £19.98) Prepare meals with the touch of a button using this six-liter pressure cooker. Pressure cooking locks in more nuyrients than other methods, and makes sure food cooks quickly and evenly. It's an amazing price this Prime Day! Tefal Cook4Me Multi-Cooker: down to £129.99 (save £169.01) If you think you can't cook, think again. This cooker guides you through recipes step by step, and sets cooking times automatically. It has Wi-Fi connectivity to download new recipes, and the bowl is machine washable. Philips Kitchen Food Processor: down to £50.99 (save £43.01) This is an amazing price for a great quality food processor that kneads, chops, blends, slices, shreds and granulates thanks to interchangeable blades and discs, and it'll stay steady and stable on your workstop. Breville Ultimate Grill: down to £59.99 (save £30.87) Get an amazing deal on this premium-quality grilling machine – perfect for meat, fish and vegetables. Its elements heat up quickly and evenly, its plates have a superior non-stick coating, and it lets excess fat drain easily. Breville Sandwich Toaster: down to £27.99 (save £15) Who doesn't love a toasted sandwich or panini – especially at this price? Breville's design is great for deep-filled toasties, with cut-and-seal to keep all the cheese and other delicious fillings from spilling out. Breville Health Fryer: down to £84.99 (save £65.01) Breville's innovative fryer uses just half a tablespoon of oil to cook a kilogram of chips to crispy, golden perfection. The bowl tilts and rotates so food cooks evenly, and it can also be used to roast, bake and sauté. Igenix Manual Microwave: down to £33.99 (save £25.95) If you're in the market for a new microwave, look no further – this model is smart, easy to use, and an absolute bargain on Prime Day. It comfortably fits a standard dinner plate, with five power settings and a 35-minute timer. Breville Sandwich Press: down to £16.99 (save £10.47) No, your eyes don't deceive you – this superb non-stick sandwich press really is less than £17. It's great for paninis, ciabatta, tea cakes and crumpets. Amazon Dash buttons: down to £1.99 from £4.99 Run out of that everyday item? Whether it's toilet paper, beer, cat food, coffee, washing powder of a range of other things - you can instantly order a same-day or next-day replenishment at the touch of one of these Dash buttons. The Magimix Nespresso Maestria Coffee Machine has a redonculous deal going right now. It’s currently available for £199.99, exactly £150 cheaper than its regular price of £349.99. If you like coffee then you should take a look at this top system. Get Magimix Nespresso Maestria Coffee Machine deal. The Black Raven Maxi-Cosi Pebble Group 0+ Car Seat is only £88.59 right now thanks to a generous 46% discount. Considering this retails for £165 without any discounts, and it offers premium protection for young riders, it is a top deal. Get Maxi-Cosi Pebble Group 0+ Car Seat deal. The Tefal 10-in-1 Multi Cooker is only £47.99 right now, down from £74.99. Auto temperature and cooking time detection, a non-stick removable bowl for easy cleaning, and easy to use controls? Yep, that’s a good deal. Get Tefal 10-in-1 Multi Cooker deal. If you’re expecting a new family member, then the Angelcare AC401 Movement and Sound Baby Monitor could be right up your street. The monitor is currently down from £109.99 to just £49 thanks to a 55% discount. Get Angelcare AC401 Movement and Sound Baby Monitor deal. Coffee maestro De'Longhi has its Nespresso EN550.W Lattissima Touch Automatic Coffee Machine discounted right now to a super affordable £125.99. It used to cost £279.99, so that’s a 55% price reduction. Get Nespresso EN550.W Lattissima Touch deal. The Logitech Harmony Home Hub can be yours for a limited time only at £59.99. The hub grants you app control of 8 smart home devices and works with Amazon Alexa. Normal price sits at £99.99, so this deal lets you pick one up with a 40% discount. Get Logitech Harmony Home Hub deal. You can step into the world of smart living with the Philips Hue White and Colour Ambiance Wireless Lighting E27 Starter Kit. Right now the kit is reduced by £60 down to only £89.99. Get Philips Hue White and Colour Ambiance Wireless Lighting E27 Starter Kit deal. Philips are also discounting its Hue White and Colour Ambiance Wireless Lighting B22 Bayonet Cap Starter Kit too, so no matter which type of lights fittings your home has, if you want to get into smart home cheap, you can do. Same £50 reduction as before. Get deal. The Bosch PSB 1800 LI-2 Cordless Combi Drill with Two 18 V Lithium-Ion Batteries is reduced down a near half price £52.49. Need to drill stuff? This is a top drill from one of the best manufacturers. Get Bosch PSB 1800 LI-2 Cordless Combi Drill. If you consider yourself a bit handy in terms of DIY, then this Hive Active Heating Kit Self Install deal will be right down your street. The excellent smart heating system is available for just £114.99, down from a pre-deal price of £178.82. You need to install it yourself, but if that doesn’t make you balk, then it is outstanding value. Get Hive Active Heating Kit Self Install deal. If you’ve got a beard, or are thinking of growing a great big bushy one, then the Braun MGK3060 Multi Grooming Kit is definitely for you. An 8-in-one beard and hair trimming kit for a Prime Day discount price of £24.99, instead of the normal £44.99? Yes please! Get Braun MGK3060 Multi Grooming Kit deal. And, while we’re on shaving, how about this for a tasty deal. The Braun Series 3 ProSkin 3010s Rechargeable Cordless Wet and Dry Electric Shaver/Razor for Men can be purchased right now for only £33.49. That’s a monstrous 63% discount from its normal price of £89.99. Get Braun Series 3 ProSkin deal. And rounding off Braun’s tasty deal showing here is the Oral-B Smart Series 6500 CrossAction Electric Rechargeable Toothbrush with Bluetooth Connectivity and Smart Series for just £55.99. Braun’s Oral-B range is one of the foremost in the electric toothbrush market, and we would know, as we’ve included them in our best electric toothbrush buying guide. Get Oral-B Smart Series 6500 deal. The NETGEAR RBK40-100UKS Orbi Whole Home Wi-Fi System is available right now during Prime Day for £199.99, a huge £100 discount. If you’ve got a house with poor coverage, or just super thick stone walls, then this is definitely worth a shuft. Get NETGEAR RBK40-100UKS Orbi deal. Going on a health kick? Well the Andrew James Professional Whole Fruit Power Juicer is currently discounted by 43%. That means it can picked up right now for only £27.99. Get deal. Kenwood kMix Stand Mixer, 5 L, has a world-ending 72% reduction right now, with a limited number of units available for a mental low price of £118.99. That’s a crazy bargain in our eyes, so we’d move quick if you want to score. Get Kenwood kMix Stand Mixer deal. T3 knows what it’s talking about when it comes round to security cameras. So we know that the Y-cam EVO Indoor HD Wi-Fi Security Camera, with its Prime Day discount of 38%, is darn good value for money. It can be yours for just £79.99, down from £129.99. Get Y-cam EVO deal. If you don't need 4K, save big on this full HD TV! Perfect for watching Blu-ray and streaming HD Netflix. It's also HDR compatible. Expires when stock runs out. If the 49-inch model above it tempting, but you need something bigger, then you might find a match with this other Amazon TV deal. It's the same great 2017 version of the TV, but with a larger 55-inch screen. Expires at midnight. A 43-inch TV is more than enough for most homes and this is one of the cheapest 4K HDR TVs we've ever seen and from a company we've all heard of too! Expires at midnight. Looking for something for the spare room, or maybe something for children not ready to appreciate the world of 4K? Then this is a super small TV deal. Why not turn it into a smart TV with a super cheap Amazon Fire TV stick for just £29.99.